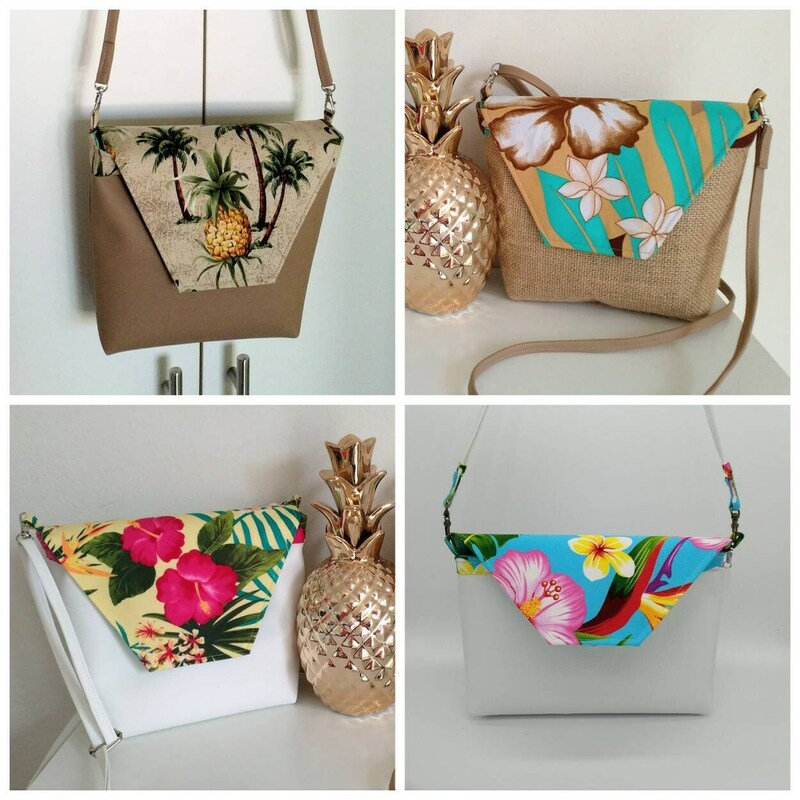 Swing a tropical island holiday over your shoulder and take it everywhere with my tropical print handbags. 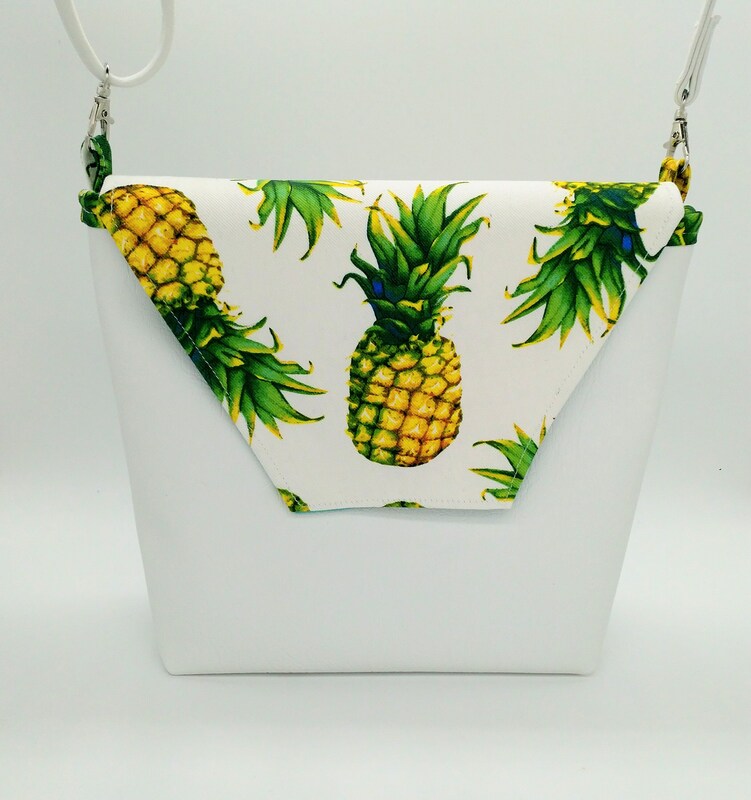 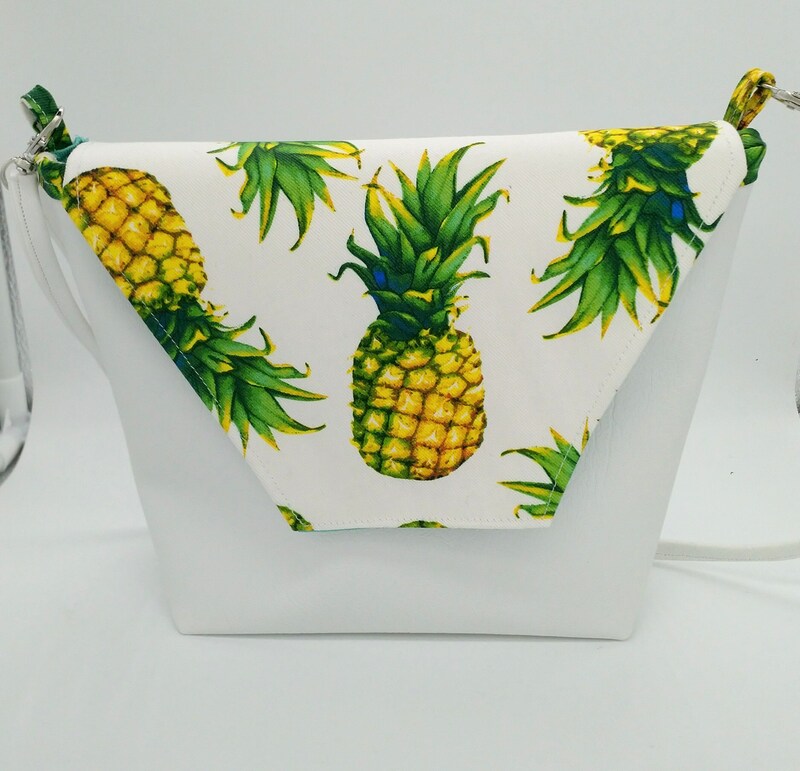 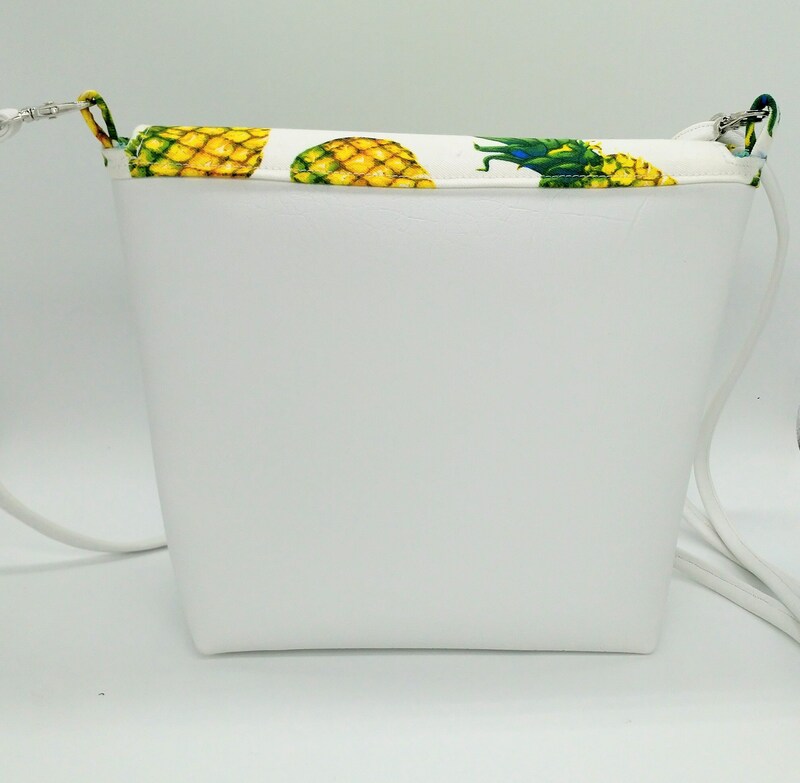 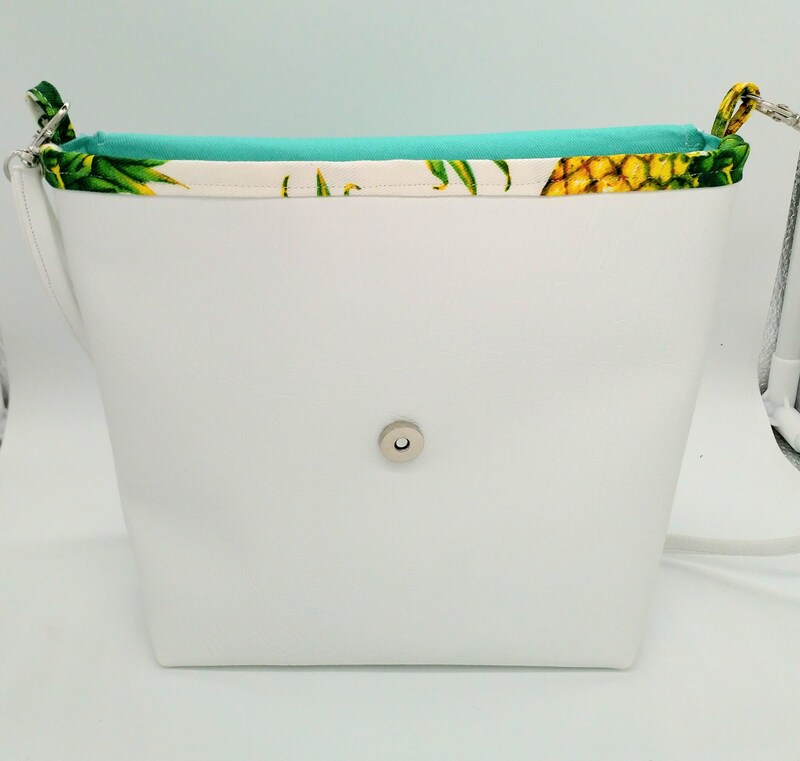 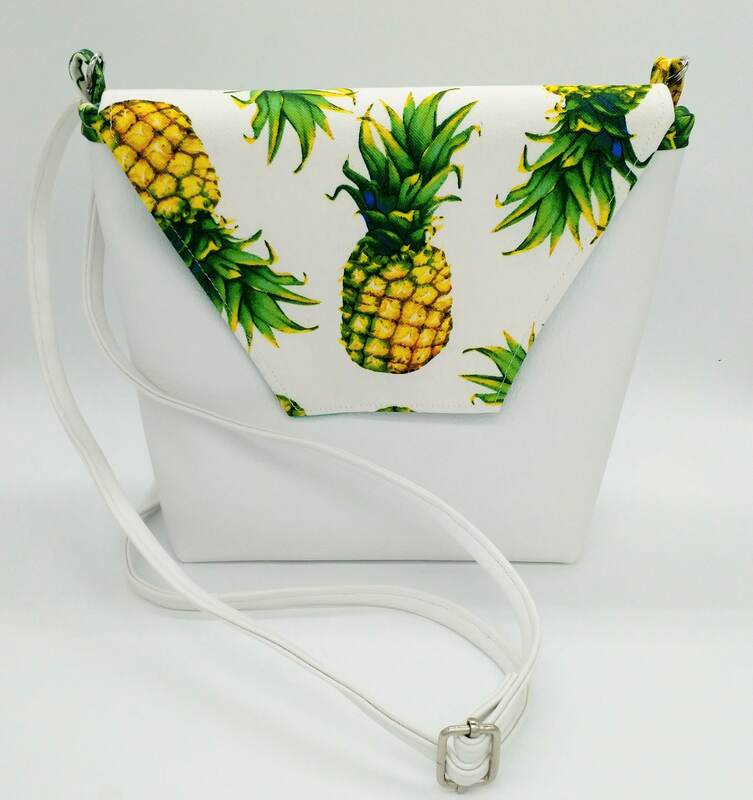 I have used a pvc vinyl for the main part of the bag and then added tropical print fabrics. 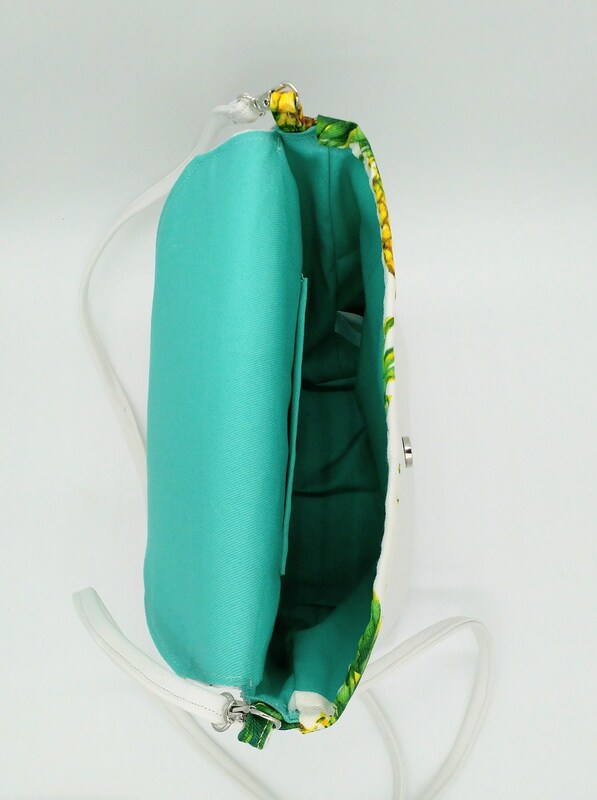 The lining is an aqua cotton (the same for all Tropicallday bags and purses) with an internal pocket for the little things like house key, cards, ID etc. 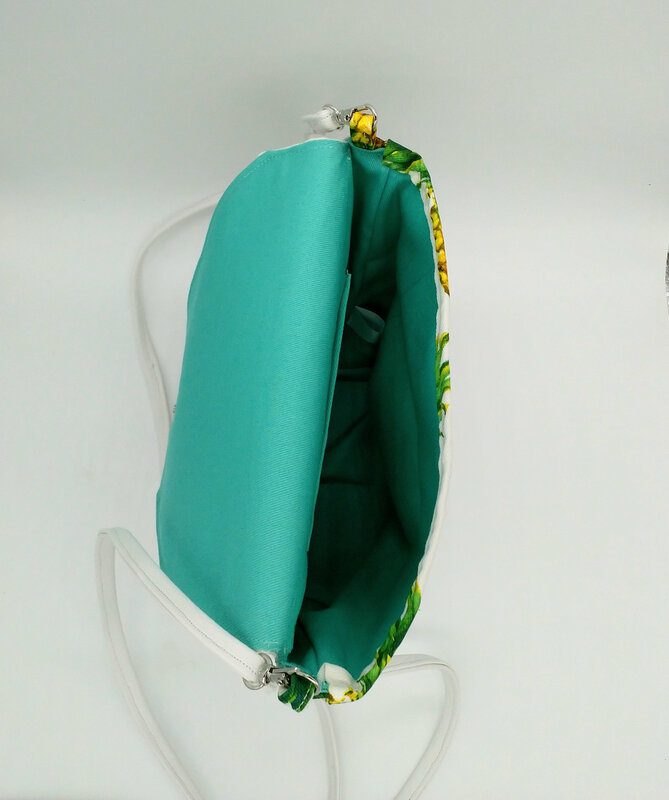 Mix and match with one of my clutches or cosmetic bags and create your own unique tropical set.